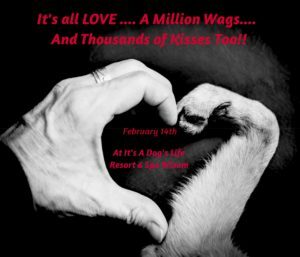 Have your lil’ furry love come spend this special day with us….. There will be nothing but love in the air…. Celebrate Valentine’s Day the way our Furry Loves do…..